When Dominga was a child, she was involved in a car accident that left debris lodged in her leg. At first, she wasn’t aware that the debris was there, but several years later, her leg began to hurt. 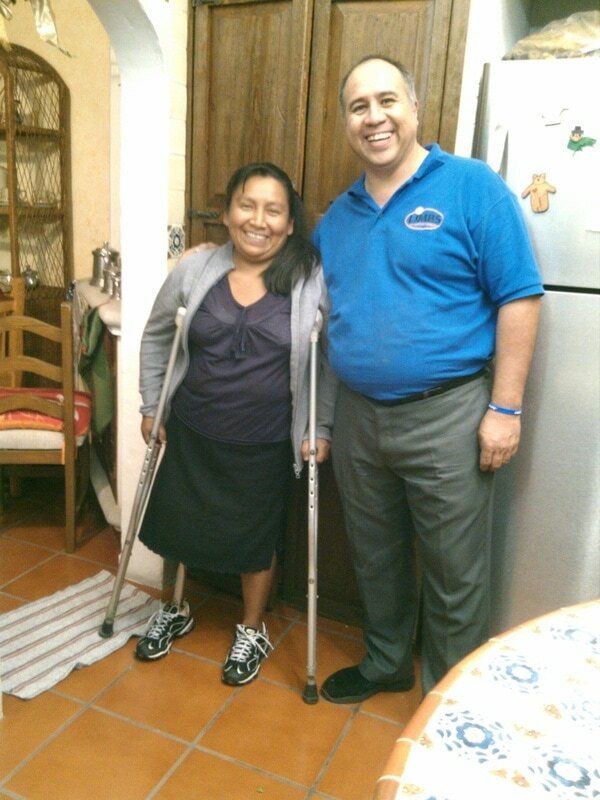 Since she lives in the mountains in Cuernavaca, Mexico, Dominga did not have access to medical care and was unable to address the problem for several years. By the time she was finally able to visit a doctor, the pain had become unbearable and the infection had spread, creating a hole in her leg. “It was horrific pain,” she recalls, “I wanted to die since I couldn’t find anything to calm it down.” The doctors at “Amigos sin Frontera” were amazed that Dominga had survived the spread of the infection and urged her to have her leg amputated immediately. Since becoming an amputee in May, Dominga has struggled to care for her two children on her own. After being fitted with the LIMBS leg system in December 2013, she said she is looking forward to finding a job as a maid and raising her kids.